Some of you know that I have been using a Shuriken engine to power my 1/2A profile protospeed model. The Shuriken is a quite old, out of production engine that has not been made or supported for many years now. I figured that until I broke it, it was still useful to play around with. I accidentally acquired aluminum and a ceramic coated cylinder liners in an Ebay acquisition of (mostly no good) parts. The originally designed cylinder/liner assembly started out being made from Iron (piston) & steel ( cyl. liner). I don't know if many of these were made, but I have one. Although it's WAY better than it's TeeDee rival, with a wrist pin rather than a ball-socket joint, it was not at all optimal for the time. Nonetheless, in the quest for the holy grail of speed, failures are often expected along the journey. If not expected, they'll happen anyways! I personally never tried the Iron/Steel combo because I knew the ABC was superior. That being said there was a great variance in the performance of my ABC piston/cylinder units. The reason being is that several cylinders had different porting (my parts were experiments by somebody). But, more importantly the fit and profile of the cylinders were different. With the tolerances in the tenth of a thou. (or less) I didn't have the instruments (+ knowledge of use) to do consistent measurements. So I reverted to the tried and true "cut and try" method. Essentially meaning run the combo's & see what works best. 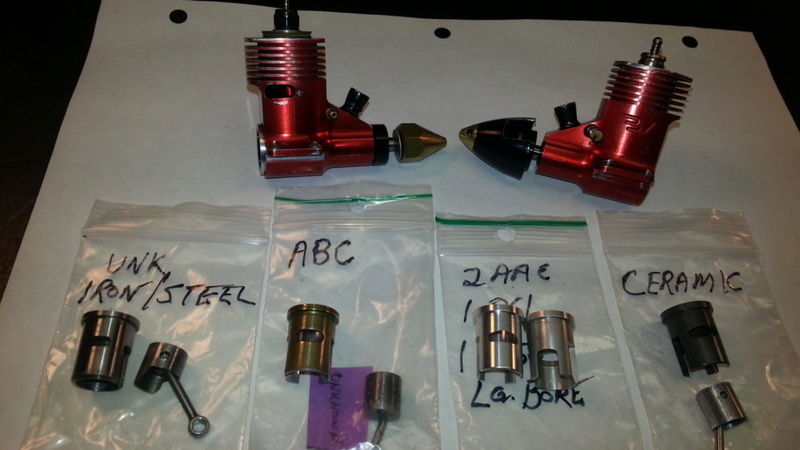 In the end, I had my friend from California & master modeller John McCollum custom build me a few (one off) ABC piston / cylinder sets. Because John KNOWS the proper tapers + used a superior German Mahle ( high silicon alloy) aluminum for his pistons, his sets turned out to be the very best performers, even with MUCH less radical porting. The difference between best & worst being about 4,000 RPM!! ( 29,000 -> 33,000). It's hard to call a 29,000 RPM .049 a failure, but it really is when compared to a 33,000+ RPM engine. The inflight difference being ~ 20 MPH!! At the end of the bench testing day, the promising Ceramic cylinder was a failure ( at 31,000 RPM), but it could very well be because the critical "fit" is off, not necessarily because of the Ceramic itself. Or maybe it is the Ceramic...?? I don't really know much anything other than what my trusty tach tells me. There are other maddening issues like bad / semi-failed bearings that have interfered with what might have been a superior result. Sadly, with no spares or spares with quality...my research is stopped for the time being. BTW, DO NOT tell me to use Boca Bearings, because that's a route to very bad results....ask me how I know? 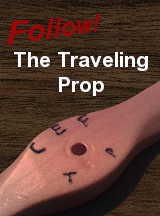 What prop used for the tests? Custom crank for improved longevity and performance. 34W improvement over stock crank. Thank you Mel! for bench testing really needs the 4.2x4 for that. Needle Valve 3.75 turns out due to no pressure taps. VERY interesting stuff Paul! Thanks for sharing your experience with us here. What size are the bearings that they are difficult to source? Developing piston and liner is a lot of work, and certainly many things need to be measured very accurately to prove a design. Did you make the AAO sets? It's truly amazing that you can see a 4kRPM difference between liners sets if the porting is otherwise the same. This represents 45% more power at 33k, vs 29k. Are people running Fora or similar? Wow. Kind of reminds me of a pack of crotch rockets at 2 AM on the Interstate that sometimes wake me up when there are no leaves on the trees and its warm enough for that crowd to get out for a little highway to hell ridin'. If, say for example, a typical Black Widow will run 3.5 minutes on its 8ccs of 15% nitro fuel, about how long will one of these demons run on 8ccs of whatever it is they're burning? HI Fred, and thanks for the nice wishes, much appreciated! In AMA 1/2A speed & 1/2A Profile Proto events, I give NO credence to the fuels because they are mandated 10% nitro, 20% oil (50% castor - 50% synthetic often Klotz), the rest is methanol. The fuel is always supplied by the contest management, case closed. In the old days before the mandated fuel came into effect, THAT was a whole different story! People (including me) used extreme (72-78% nitro) no alcohol & sometimes turbine oil (Mobil Jet II) was blended in. THAT was very potent fuel & gave enormous power over the standard. It ate glow plugs. Fortunately, we haven't had to play "chemist" in C/L speed for many years now & I don't mind that part one single bit. My reference standard prop for AMA 1/2A Proto is the: APC 4.2D X 4P nylon. Far too small for Cox engines, but excellent for Protospeed & Class II mouse race. This prop I believe is too big for a piped engine on the ground. Perhaps trimming the diameter somewhat or using the APC 4.2 X 2P is better for that purpose. size certainly has more power hands down. That being said, so far only Jerry Rocha of Napa has been able to extract the power necessary from a Picco to exceed the normal 85 mph. Jerry's best is 111mph & I flew that model for him. Wowza! At 4.4 ounces it takes off like a rocket & is too fast for all but the most experienced pilots! What a blast it is flying for Jerry! 1/2A Nut wrote: What prop used for the tests? Paul it would be a treat to see some vid of that action! The engine is stock all but the crank / known to be brittle and snap in short order. Not a Galbreath de-stroked Picco, Mel made two for me aka "Toad" on RCG / RCU. The stock engine is .0519 ci / .85 cc. Static rpm on the bench hit tad over 50,000 rpm. Med lift prop. 30% nitro / 20% castor. Best pass 43 mph. so far this is the best results getting brief peak down wind passes by the cam. per audio tach from brief bursts of rpm past camera. With the right size plane the prop speed can be used to it's full advantage. Per Doppler wave analysis: 238 kmh / 147.89 mph best pass. in steady banking turns. Peak speed in front of the cam is brief average speeds much lower. and observe plane is too big for the engine. 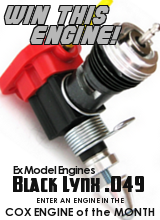 If you can get 3.5 minutes from a Black Widow you truly have one economical engine! With 25% nitro & stock vents 90 secs to 2:30 (flight time) is about the best I see with the stock .082 tank venturi. True, the small Silver Bee / Golden Bee ?? .062" venturi tanks can give slightly over 3 minutes of run time. I can't answer your question about exactly how long (time wise) my engines run. My range is from 90 seconds to 2:10 sec. on the test stand with engine sideways (pick up at bottom). What I do know is my flight testing showed that the LAP RANGE on my mouse racer INCREASED the more nitro I added. So if I had an engine that was a bit short on range (say 32-34 laps) with 40% nitro, going to 65% nitro increased the range to 36-40 laps at a faster speed. Paulgibeault wrote: True, the small Silver Bee / Golden Bee ?? .062" venturi tanks can give slightly over 3 minutes of run time. Sounds about right, IIRC, back in the late 1970's I was getting around that with my stock Golden Bee on standard 25% nitro fuel. This was on a Q-Tee flown single channel (elevator was fix wired through an adjustable RC clevis allowing trim adjustments for flight), 5.25x4 to 6x3 props and Ace RC exhaust sleeve throttle. Here are some photos that show the "evolution" of piston / cylinder technology experiments. It was most lucky that the piston from my best ABC assembly just happened to fit well (or as well as I think it should) right into the ceramic cyl liner. Sadly it was several thousand rpm short of best...even though if you see the photos, the cermanic liner cutouts are radical, and go completely through the cylinder as per original design. My custom ABC liners are not radically cut that way, because it's impossible to control cylinder roundness with a cylinder cut that way. I think roundness + correct taper in a cylinder, trumps porting every time...So far, that holds true. Also of note is the late Chuck Schuette designed head with was designed to take the excellent Novarossi tapered seat glow plugs. It works well, but is just short of the one piece Norvel Spiralite speed plug, which although does not last very long (1 per flight), still gives the highest performance so far... This is acceptable for C/L speed, but lousy for most other applications. 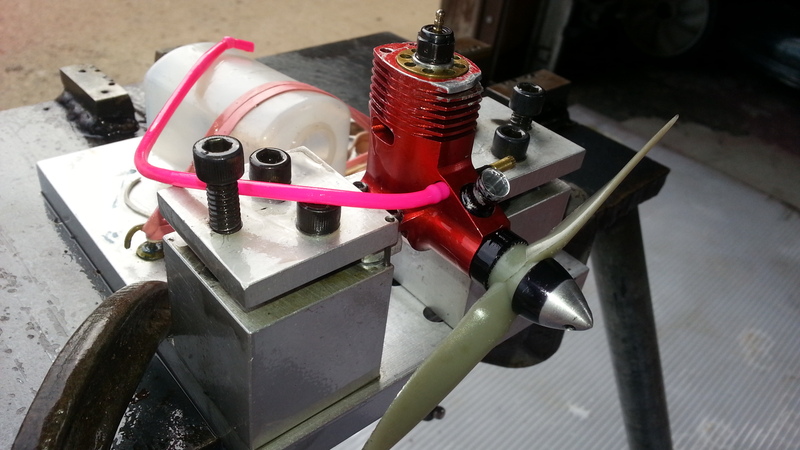 Note: That pink tubing is actually bladder tubing that I use for my tests as my engine is pressure fed. gkamysz wrote: What size are the bearings that they are difficult to source? Developing piston and liner is a lot of work, and certainly many things need to be measured very accurately to prove a design. Did you make the AAO sets? It's truly amazing that you can see a 4kRPM difference between liners sets if the porting is otherwise the same. This represents 45% more power at 33k, vs 29k. Are people running Fora or similar? I was MOST DISAPPOINTED to notice that my previous detailed reply sometime back somehow got lost in cyberspace & never did show up. I find sometimes that happens and I have no idea why...? Rear bearing: .312" I.D. X .500" O.D. Front bearing: .187" I.D. X .375" O.D. The best original bearings seemed to have nylon ball separators. These are standard US sizes I think. I do not know what the internal clearance is, but I think it equates to a C-3 or possibly C-4. The Boca R1810-ZZ 110207 C (rear) and SR166-ZZ #3 110207 C (front) replacements are a performance failure. (I believe their internal clearance is too tight for this application). One thing in my testing is that the porting was not the same. If anything the ceramic coated cylinder had larger & deeper ports. I would not have thought that that could be a negative, as my fastest brass (chromed) cylinders are mildly ported by comparison. However, there are many questions unanswered as to the accuracy of the AAO cylinder's internal profile dimensions. My measuring equipment does not have the accuracy needed, nor do I have the knowledge to make the changes required if they are not right. In fact, I don't really even know what RIGHT is supposed to be for these little motors. I do however know what accurate bench tach readings translate to in air performance. I have not yet seen a Fora used in 1/2A proto. Cyclon's & Profi 1/2A combat engines have been used & work OK, but can't seem to fly over 90 mph, with ~ 85 mph being more common. They do however SOUND FABULOUS in the RPM range on the ground, but just don't seem to go fast, for some reason. 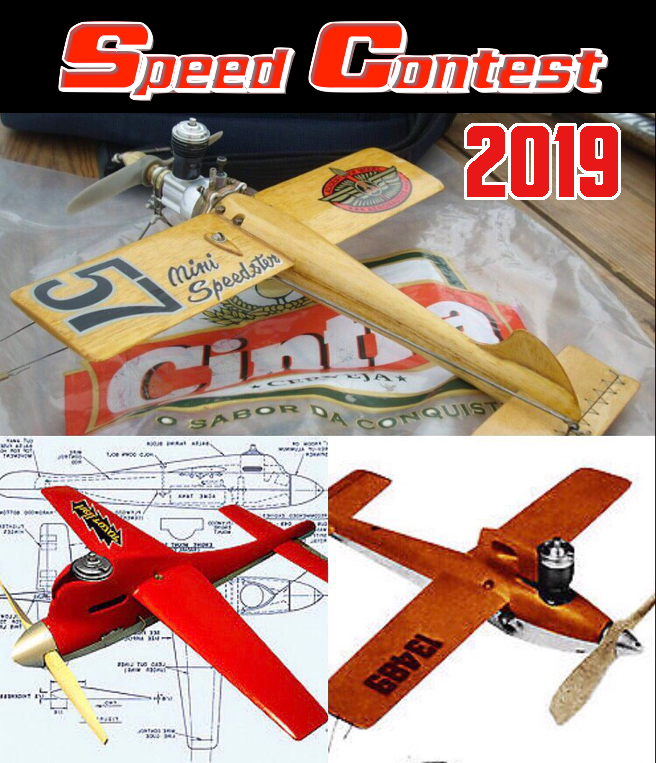 ( Jerry Rocha's testing of the Cyclon found that although it turns up equally fast on the ground with the same prop, it does not unload in the air, like his other engines do) I have not spoken to the users to see what kind of prop they are using. My conjecture (& it's only conjecture) is that they have the RPM, but no torque to turn the necessary 4" of pitch required to go fast. Regarding a 4,000 RPM difference. YES, you have not lived until you've seen the enormous power people such as Jerry Rocha from Napa can pull out of a given engine without radical modification. Jerry just makes sure the fits are "right" corrects any obvious errors & his engines are awesome, compared to the rest of the field (even at the AMA Nats). It also helps that Jerry builds a lighter/straighter model than anyone else! ( That's " FREE " speed right there). Given my RPM at 33,000 is similar to Jerry's, I feel my building must improve to reach my magic milestone of 100 MPH which only 2-3 people in North America are capable of achieving. That would have easily won the AMA Nats last year (because Jerry wasn't there). Of course with my current bad bearings situation, progress has come to a stop for the time being. I'm hoping to talk to a Swiss watchmaker friend in Europe this summer to see if something there can be sourced...we'll see. I have been using the Boca replacements in my engine for 2 seasons. I'm also using lighter pitched props. I use the APC 4.6x3 and the Russian yellow or blue. I keep the nitro at 35%-40%. Baldwin told me that I should be considering a minimum of 50%. To date, my bearings are holding up. I just don't think the originals can be sourced as Fred mentioned that they were custom in themselves. I've been in search of the stock spraybar which he told me to use the Cox 128. Well it's a smaller diameter and the length is also considerably shorter not allowing enough of the fuel barb protruding out the other side. He told me to send him a few $$$ and he would dig the stuff out. I passed on it. My buddy has bent his ear numerous times over the past 2 years for the spraybar. I really don't want to drill the case so my other option is to make a sleeve and try another. The guys that used to run nitro dragster R/C here said that there was someone on the mainland that would hand assemble bearings matching the inner and outer races to the ball size, going through many bearings to come up with the proper fit. Bearings are made by the thousands and then sorted according to what the tolerances end up. I think that would be the designating number like ABEC -5, ABEC-7 etc. Maybe someone on this forum knows of this person that blueprints bearings. That person I believe was the late Greg Settles from Colorado. Greg rebuilt my rear bearing for me saying it was the smallest bearing he had ever worked on! Although Greg's re-build ran excellent, it was not long lived as it failed later on after a number of high speed runs. It was funny how Greg called me up on the phone & then ran up the motor. "Sound good enough for you Paul?" he said. Sounded great over the phone...! Greg did however build bearings that set AMA national speed records in the hands of Jerry Rocha (of Napa, CA) and others. Greg also built bearings for certain Novarossi car engines & dragster engines as well. Sadly, Greg passed away from cancer last year and us performance modellers dearly miss him. 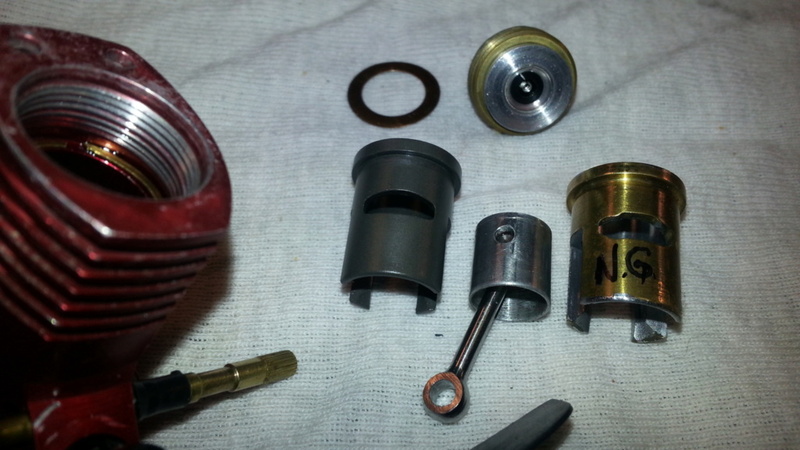 coxaddict wrote: The guys that used to run nitro dragster R/C here said that there was someone on the mainland that would hand assemble bearings matching the inner and outer races to the ball size, going through many bearings to come up with the proper fit. Bearings are made by the thousands and then sorted according to what the tolerances end up. I think that would be the designating number like ABEC -5, ABEC-7 etc. Maybe someone on this forum knows of this person that blueprints bearings. I finally found the long lost photos hiding in my computer! 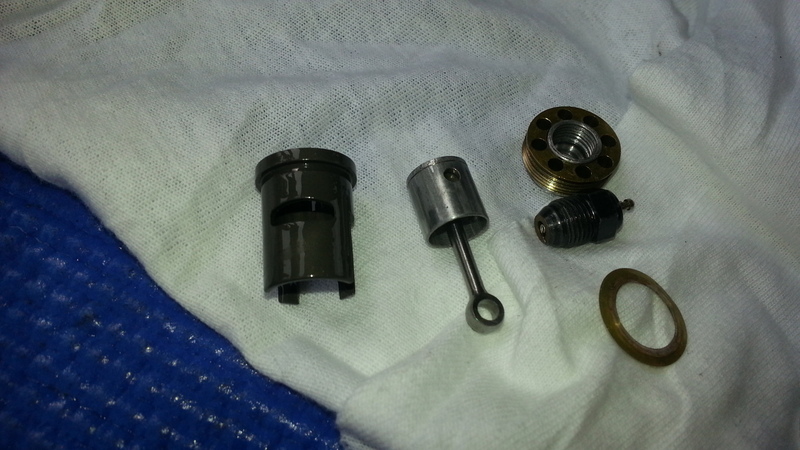 Top photo shows the four evolutions of the Shuriken cylinder materials. Lf. to Rt. : Iron piston/ steel cylinder. Chromed brass cylinder/ alum. piston. Chromed alum. cylinder using alum piston. Ceramic coated Alum. 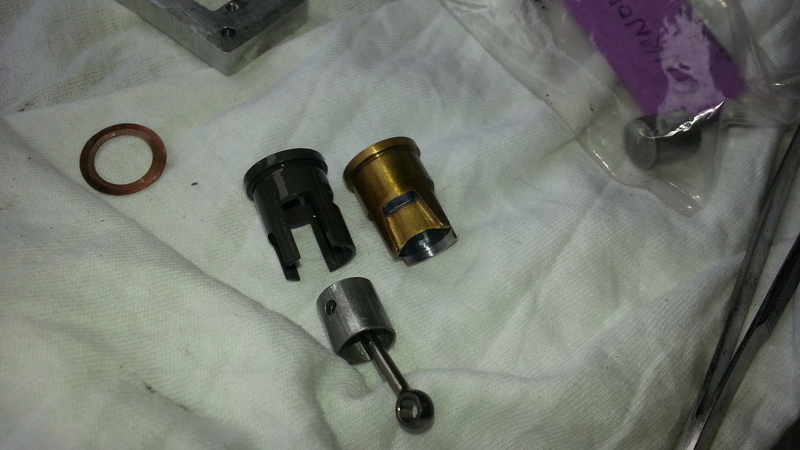 cylinder with alum piston. All engines use a steel rod and wrist pin. Those with Shuriken engines will know that the cylinder ports are completely milled out leaving a cylinder with "finger" looking ports. will have a hard time staying centered. This can produce an out of round cylinder which is very counterproductive to high performance. as well as different fuels, without having to resort to head re-shimming. p.s. The N.G on the brass cylinder with the "hat shaped section" exhaust port stands for no good. Nice try but no cigar...! Sounds like that was Greg. 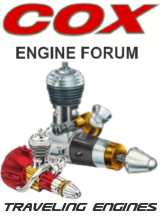 Most of the engines used for the dragsters were Nova Rossi. Sad to hear of his passing.